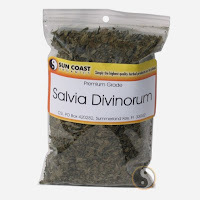 The Feds are planning to ban the hallucinogen salvia. Currently considered a, 'natural health product' it would be moved into the same class of drug as marijuana and ecstasy. The herb isn't seen as being addictive but results of long term usage aren't known. It produces a high that usually lasts 10 to 15 minutes. Salvia is from the mint family of plants and is native to Mexico where it is still used today in shamanic rituals. As a health supplement it can be used as a diuretic or to cure headaches. It has, however, been banned in Delaware where it was linked to the death of teenager Brett Chidester.